9th: Opening of the exhibition Con los ojos cerrados, ALBO program for contemporary art – Modern Art Museum Medellin, CO (the exhibition runs until April 2013). Original soundtrack for Juan Duque's site specific installation. 23rd: Opening Marion Tampon Lajarriette, Le somnambule video installation, sound by Yannick Franck. Centre d'art Chapelle Jeanne d'Arc, Thouars, France. (The exhibition is open until the 21st October 2012 and is part of Songe d'une nuit d'été). 16th: DJ set with Raf Keunen at Klara festival, Brussels. 12th: Solo performance at Villa Verkeyne, Liège. 9th: Solo performance at Café Central, Brussels. Participation at Francois Martig's installation "La Nature mise en boite" with a short field recorded piece called Steel bench and bow. The installation featured short pieces by Yannick Dauby, Philippe Petitgenêt, Supernova, Gauthier Keyaerts, Jean-Philippe Renoult, Rodolphe Alexis among others. Performance by Paul Devens (NL). Thanks to: Joost Fonteyne, Angelo Vermeulen, Olivier Goethals, Roel Kerkhofs, Johan Vandermaelen, Philip Aguirre, Luc Pien, Sarah Késenne, Gert De Munter, Machteld Pectoor, Veerle Van den Abbeele, Sabine De Meester and the students from Experimenteel Atelier. Sound experimentalist, performer, founder of independent label Idiosyncratics and curator of art center Les Brasseurs, Yannick Franck (°1981, Liège, Belgium) has developed a highly personal body of work that ranges from sharp acoustic researches, immersions into abrasive walls of sound (often described as trance-inducing, his music is based on the treatment of sources such as instruments and non-musical objects, throat singing, radio signals and field recordings) intense audiovisual performances and art shows (including installations, paintings and video works). 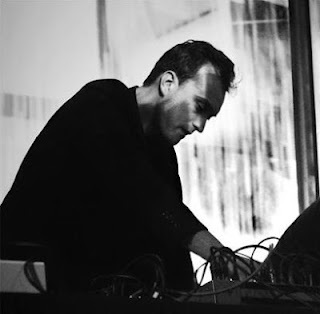 He’s part of industrial-noise duo Orphan Swords and founder of electroacoustic improvisation combo Y.E.R.M.O. (Venice Biennial 2009, Pavilion of Luxembourg). He has collaborated with many artists including Gast Bouschet & Nadine Hilbert, Craig Hilton, Pietro Riparbelli / K11 and Esther Venrooy among others. He has performed in venues and festivals such as Issue Project Room (New York, USA), Northeastern University (Boston, USA), MUDAM (Luxembourg, LU), Philharmonie du Luxembourg (Luxembourg, LU), Young Arts Biennial (Moscow, RU), European Performance Art Festival (Warsaw, PL), Instants Chavirés (Paris, FR), Ausland (Berlin, DE), Electronic Church (Berlin, DE), Q-O2 (Brussels), Bozar Electronic Arts Festival (Brussels, BE), WIELS (Brussels, BE), Interactive Media Art Laboratory (Brussels, BE), Scheld'hapen (Antwerp, BE) among many others.